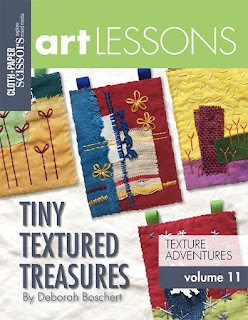 I was thrilled to create two Art Lessons for Cloth Paper Scissors. These are digital products that include a 19 page pdf document with tons of images and step-by-step instructions for the project AND links to how-to video tutorials. It's an amazing combination of a magazine article, mini-workshop, video lesson, image gallery and inspiration board! They are only $3.99 -- a great deal, I think. 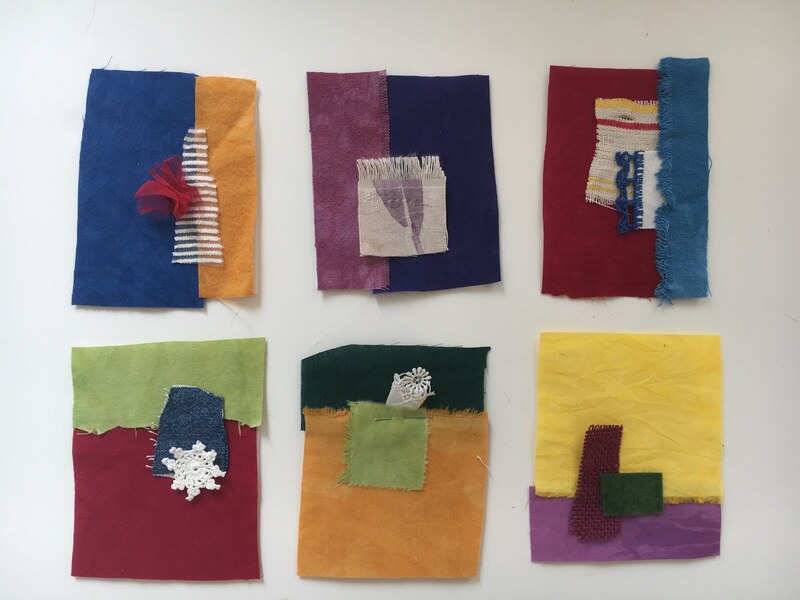 These are the three art quilt collages I created for the art lesson. Want to see close ups? *I love those Sharpie Stained markers! and even ideas for free motion stitching motifs. 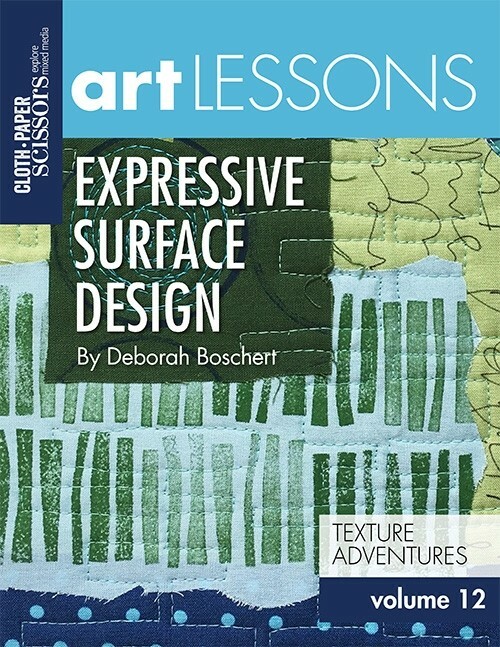 Seriously, it's full of tips, inspiration and instruction that you could use in all kinds of mixed media art. I hope you'll check it out. And here's Tiny Textured Treasures. I created decorative plant stakes for this project... but you could use these sweet ornaments in lots of ways. plus tutorials for some of my favorite improvisational embroidery stitches! I'd love to see what you create with inspiration from either of these Art Lessons. 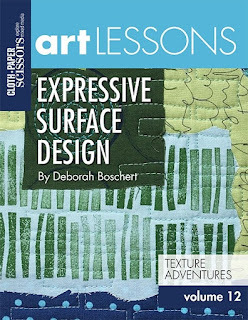 Show me your handwriting, stamped patterns, free motion quilting, art quilt collages and tiny embroidery stitches!